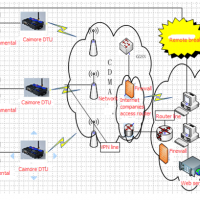 Abstract: This article provides remote mine safety monitoring system design principles and implementation of a network based on CDMA. It introduces the basics of CDMA technology, CDMA networks method described in Remote Monitoring System of Mine Safety. The practical application, obtain the desired results.